Riken Research Institute – Scientists across the world have proposed a new way to clear debris from the earth’s orbit. High tech lasers and telescopes will be used to get rid of trash from the orbit of the earth. This space debris could be a combination of various parts of old satellites and rockets and parts of rockets and old satellites. Such junk particles in space, scientists have warned cannot be ignored. A high tech fiber optic laser that will be mounted on the International Space Station will be used to clear the space debris. The official records and data point out that the amount of debris in the earth’s orbit has doubled between 2000 and 2014. 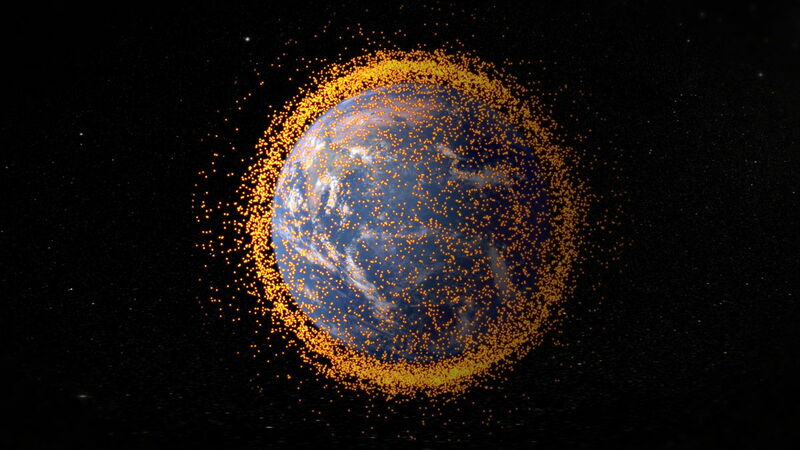 Scientists are estimating that there could be around 3,000 tons of debris floating in the orbit. The EUSO super-wide field of view telescope developed by the RIKEN research institute in Japan will be used to identify and detect where exactly the space debris is. Having pinpointed the same a Coherent Amplification Network laser would be used to remove the debris from the earth’s orbit. The CAN laser is armed with the ability of producing a series of high power pulses at a rapid pace. This is made possible because of the fiber optics working in unison. CAN laser would first identify and pinpoint the debris. Next the laser would be used to fire and destabilize the piece of debris. Finally, the debris would be sent down to earth where it would be burnt harmlessly. Scientists have also pointed out that the debris is located in different orbits. Yet another reason of concern is that there are high chances of the existing debris colliding with an important satellite or the International Space Station. Such Space accidents could prove to be fatal. Um, no. This would be what is called another “Racket”. Someone is making $$$ off freakin’ lazer beaming imaginary space junk outta space. Pretty hilarious actually, but morally speaking this is just not right. Show a real picture (not an illustration) of this “space garbage” and I’ll show you a picture of the tooth fairy from when I was 5.